Welcome to The Eye Professionals, LLC of Millville, New Jersey. “The Eye Professionals” has been serving the Millville, NJ community for over 35 years. Our office serves as the Millville, NJ location for Dr. Gregory Scimeca. Our surgical center is located adjacent to our office on 1205 High Street, Millville, NJ. 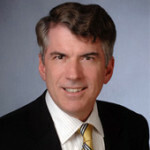 Dr. Richard Naids is a board certified ophthalmologist and a member of the American Academy of Ophthalmology. He has been serving the Millville, NJ area for 5 years. He was born, raised and educated in the Philadelphia area attending La Salle University and Temple Medical School. He specializes in comprehensive ophthalmology, cataract and lens implant surgery. 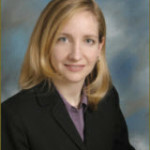 Dr. Tricia Lennox-Thomas is a glaucoma specialist. She, too, graduated from Thomas Jefferson University (Home of Sidney Kimmel Medical College) and completed her ophthalmology residency at the world famous Wills Eye Hospital in Philadelphia. She is a board certified ophthalmologist. As a glaucoma specialist, she evaluates and treats patients with glaucoma, one of the leading causes of blindness. 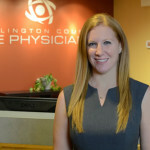 Dr. Alysson Mass provides routine eye exams, pediatric exams, contact lens evaluations and co-manages ocular disease at this Millville location. She is a graduate of the Pennsylvania College of Optometry and is a member of the the American Optometric Association, New Jersey Society of Optometric Physicians and the American Academy of Optometry. 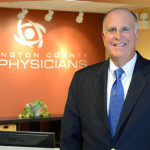 Dr. Gregory Scimeca is the chief ophthalmologist and medical director of Burlington County Eye Physicians. He has been serving the Millville, NJ at this office location for the past 15-20 years. He is the Chief of Ophthalmology at Lourdes Medical Center – Burlington Division and is also a graduate of Thomas Jefferson University (now Sidney Kimmel Medical College). Dr. Scimeca has extensive experience in cataract and IOL eye surgery, multi-focal premium IOLS and is proud to introduce the Symfony IOL to qualified Millville patients. The Symfony IOL has revolutionized the visual results in patients who have both cataracts and suffer from near vision loss (presbyopia). As a refractive surgery specialist, having performed thousands of refractive procedures, Dr. Scimeca treats Millville, NJ patients interested in vision correction procedures such as Lasik, Lasek, PRK and ICL. If you would like to make an appointment with any of our eye physicians and surgeons, please give us a call (856.825.8700) to schedule an appointment at our Millville office or any other location.